The legal profession continues to advance diversity as a critical business priority, however genuine progress has a long way to go. While many legal departments and law firms have made strides in the right direction, challenges remain for implementing and measuring initiatives that promote diversity and inclusion in terms of ethnicity, race, gender, sexuality, disability and veteran status. Recent public attention on the #MeToo movement has further highlighted some of these shortcomings. - What steps are corporate legal departments and law firms taking to ensure that attorney diversity is a priority? - What are some best practices for recruiting, hiring and retaining attorneys of diverse backgrounds? - What challenges have corporate law departments and law firms faced in implementing and measuring diversity programs? - How can corporate legal departments help influence the diversity efforts of outside law firms? - How has recent public attention on the #MeToo movement at financial institutions impacted how corporate legal departments and law firms are going about their diversity initiatives? *CLE-accredited for the states of New York & California (Elimination of Bias, 1.0 credit) requires: (a) attendance for the entire live webcast (start to finish), and (b) completion of post-webcast survey. Joi Bourgeois leads Orrick’s efforts to promote diverse and women lawyers to leadership at Orrick. She works directly with the firm’s clients who share the commitment to diversity. Jay has been working closely with law firms for nearly 25 years. Recently, his reach has broadened to serve the overall Professional Services space, to include accounting and consulting firms. Susan Steinthal is an EVP & Deputy General Counsel at Citizens Bank, where she is the head of the Consumer Banking Legal team. Anyone is eligible to attend this webcast. She provides coaching to lawyers to help them advance. She consults with the firm’s practice and office leadership in pursuing their teams’ diversity goals, including recruitment and sponsorship at all levels. In addition, she helps to introduce innovative programs that foster a stronger sense of community among diverse and women lawyers at Orrick and among clients. 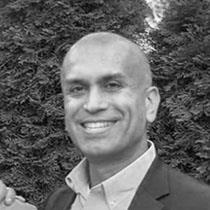 As a Senior Relationship Manager, Jay studies the professional services industry and works closely with Leadership and C-suite Executives at these firms to learn about their unique business and operational challenges then offer counsel and advice to help align an appropriate solution. Additionally, Jay works closely with the individual Partners and Principals at these firms to provide Private Banking and Wealth Management solutions. Jay is very passionate about studying the legal industry to provide business insights to legal leaders based on information he has gleaned from his analysis. Susan Steinthal is an EVP & Deputy General Counsel at Citizens Bank, where she is the head of the Consumer Banking Legal team. Prior to joining Citizens, Susan spent over eleven years at Citigroup, where she started as a member of the litigation group for the institutional business, and then served as Chief of Staff to the General Counsel and as General Counsel for the International Retail Banking business. 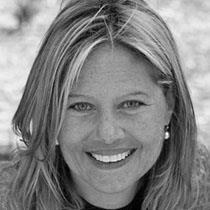 Susan was previously an associate at the law firms Richards Spears Kibbe & Orbe and Cravath, Swaine & Moore. She earned her J.D. from Columbia University School of Law, where she was a Harlan Fiske Sloan scholar, and her A.B. from Princeton University. 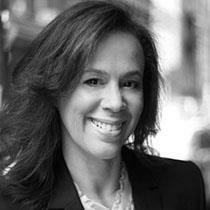 She currently serves as a member of the NYC Bar Association Banking Law Committee. 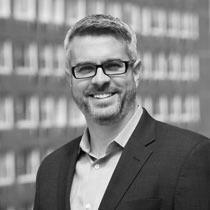 Brian Reinthaler is a career transition coach and Founder of Against the Grain Coaching. Before launching his coaching business, Brian spent seven years as a Managing Director at SJL Attorney Search, advising top global law firms and their associates and partners on hiring, job searches and other career and professional development challenges. He began his career in corporate law, working as an associate at Baker Botts LLP and Wilson Sonsini Goodrich & Rosati. Brian earned his coaching certification through the Institute for Professional Excellence in Coaching (CPC and ELI-MP). He is a graduate of the University of Notre Dame (B.A., Government and International Studies) and Georgetown University Law Center (J.D. ).